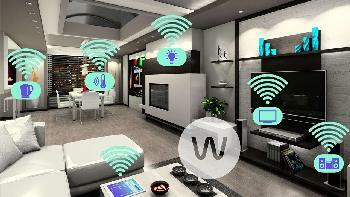 Wi-fi Smart Home Devices will change your life. Google and Alexa Smart Speakers make an excellent "hub" or "command center" for a modern automated home. Most of the Smart household devices listed below can be controlled hands-free, or by just voice commands. And some can even be controlled remotely, through a smartphone app. 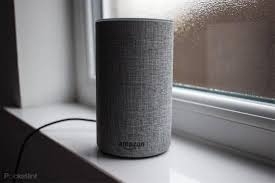 Except for the TV streaming devices, Chromecast & Firestick*, ALL the following recommended devices can be used with either the Alexa Echo or the Google Home Speakers. These would totally equip your place and transform it into the home of the future... today! * You cannot control Firestick with Google Home, or Chromecast with Alexa Echo. Silly of them both, isn't it? These are specific Smart Home Devices we recommend to hook up to your Network. 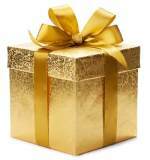 If you use our affiliate links below to buy a product, we receive a tiny fee. You do not pay anything extra for using these links, and we very much appreciate your support! 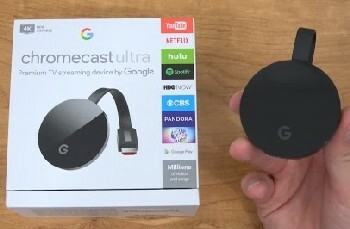 Chromecast is a media streaming device that plugs into the HDMI port on your TV. Simply use your mobile device and the TV you already own to cast your favorite TV shows, movies, music, sports, games, and more. 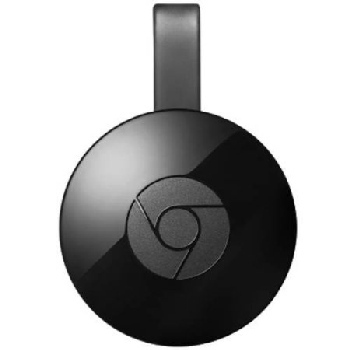 Chromecast works with iPhone,® iPad,® Android phone or tablet, Mac,® Windows® laptop, or Chromebook. All the benefits of the regular Chromecast, but Google Chromecast Ultra can stream 4K UHD and HDR video. Movies and TV episodes from Netflix, Prime Video, Hulu, HBO, SHOWTIME, STARZ, and more. You can control with Alexa Voice Remote. Also works with Samsung SmartThings and Wink hubs. Set lighting schedules, dim or turn lights on and off. Change light appearance from soft white (2500K) to daylight (9000K). Multiple colors are mood changing. Control lights even while away from home with your mobile device. Works with Amazon Alexa and Google Assistant; control by voice. Control your lights from anywhere using smartphone app. Create your own unique lighting schemes. Replaces your old wall light or ceiling fan switch. Control lights with smartphone or by voice with Amazon Alexa or Google Assistant. Set schedules and timers; room light scenarios. Set timers remotely; turn lights on/off even when you're not home. Control your appliances through smartphone or tablet anywhere. With Wifi control, no hub or subscription needed. "Smart thermostat" learns your habits; then automatically adjusts the temperature accordingly. Classic ceiling Fan with popular industrial touches. Works by voice with Alexa & Google. Control from anywhere via app. Adapts to local weather; skips when rain predicted. Check your local water provider for possible energy rebates. Discover Smart Door Locks, Video Doorbells and Smart Garage Door Openers here: Best Home Security Systems. 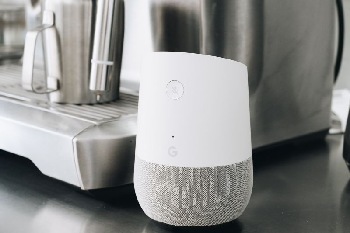 Read all about Google Home & Alexa Echo Smart Speaker Hubs. Return to Smart Home Ideas.